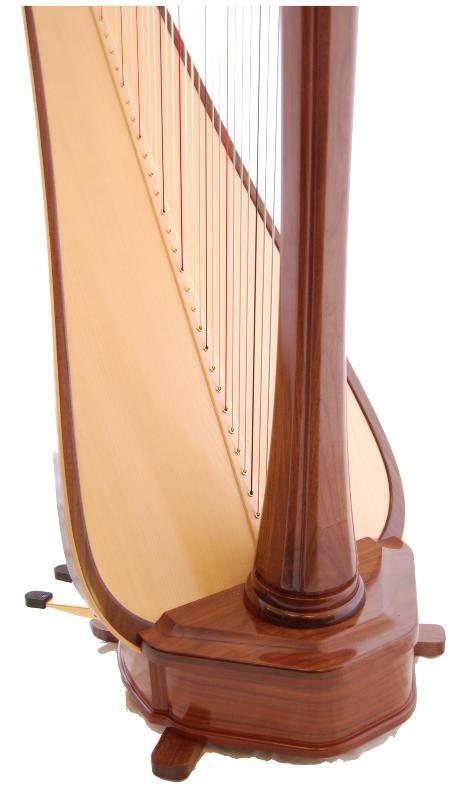 The Aeolian 47 is the new, undecorated twin sister of the Princess Sakura. 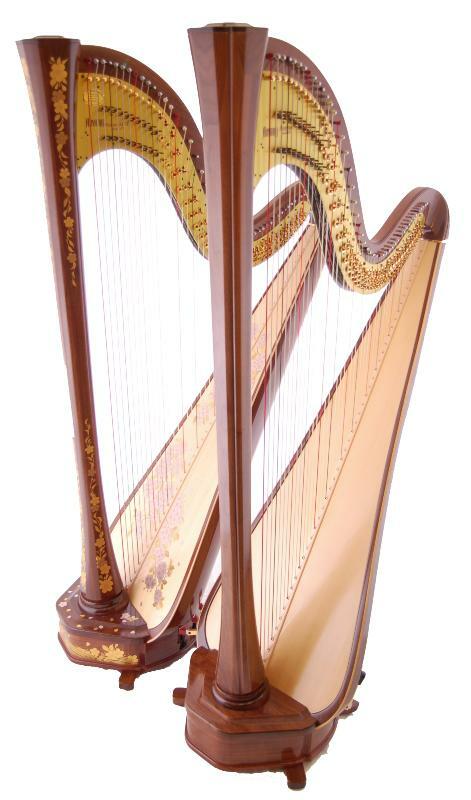 Both harps were created using innovative construction techniques that have allowed Aoyama to reduce frame size and weight without compromising on the sound quality. 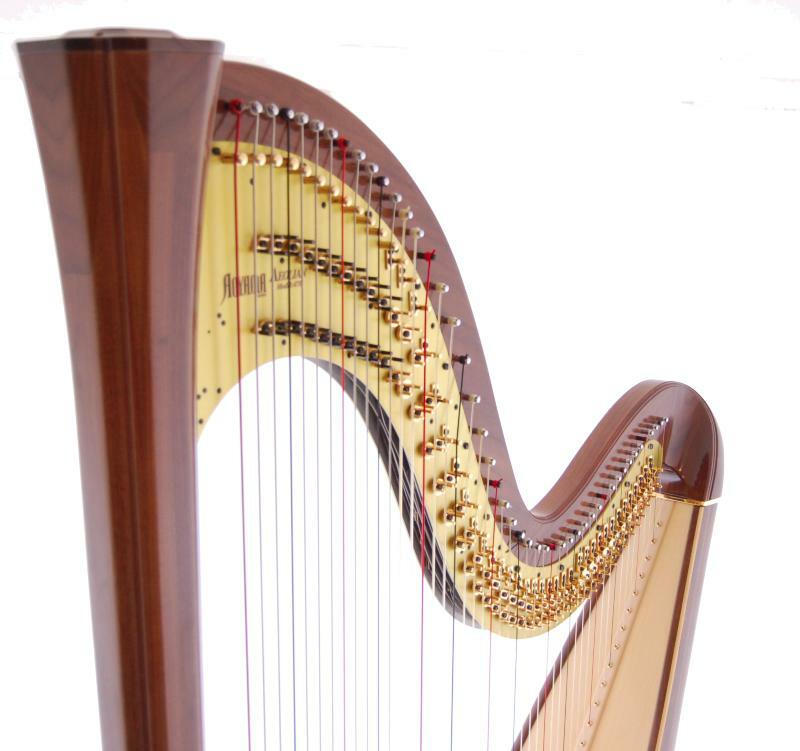 Even with their full 47 string compass and extended soundboards, these harps stand approximately 10cm lower and weigh about 15% less than standard concert harps. Yet the Princess Sakura and Aeolian 47 retain a warm, vibrant and full tone with clear, balanced projection and feature quick articulation and a light and responsive action. 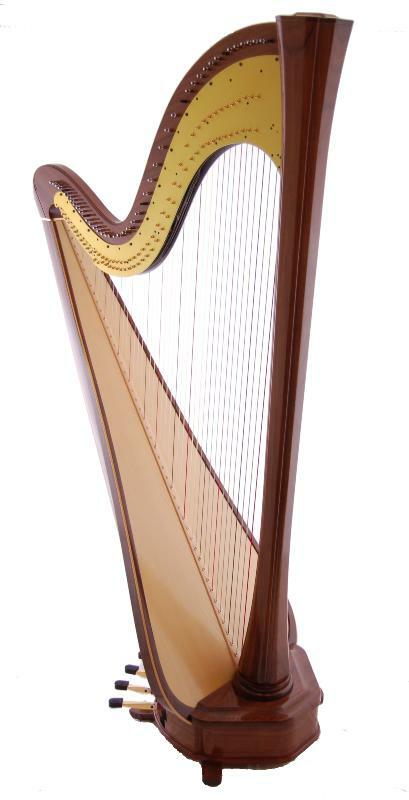 Effortless portability and playability in two stunning harps. 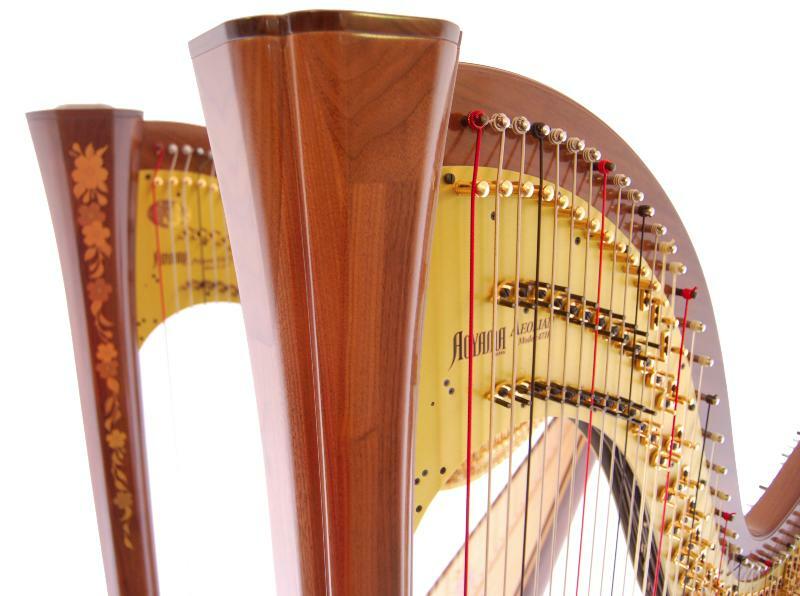 Images show an Aeolian 47 along with its decorated version, the Princess Sakura.